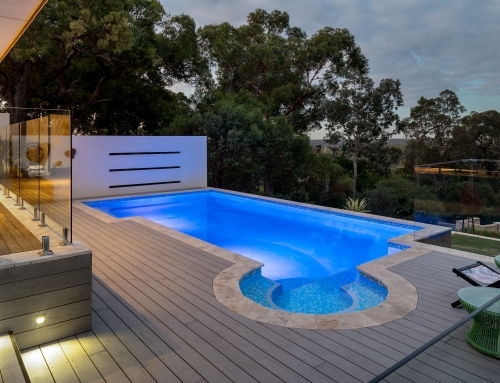 The client brief for this design and construct project was to be ‘wowed’. 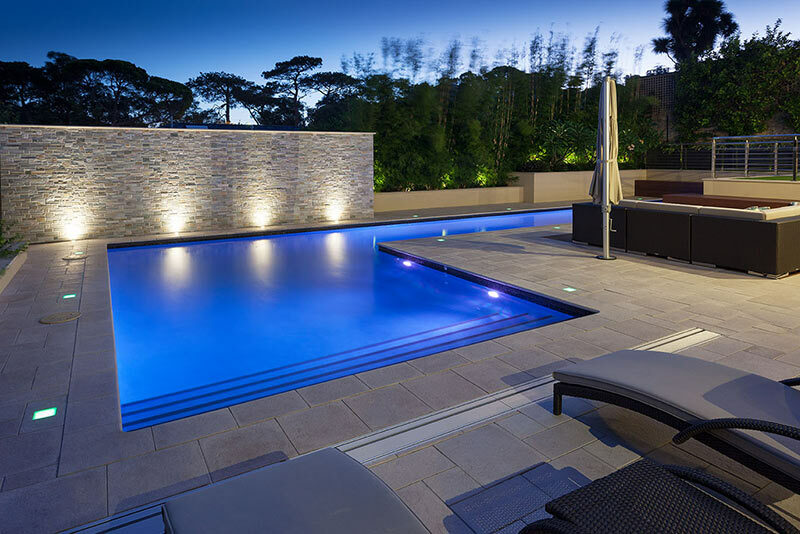 Transforming the dated existing swimming pool into a 16m lap pool with swim out required extensive engineering solutions and significant stabilisation of the boundary retaining walls. 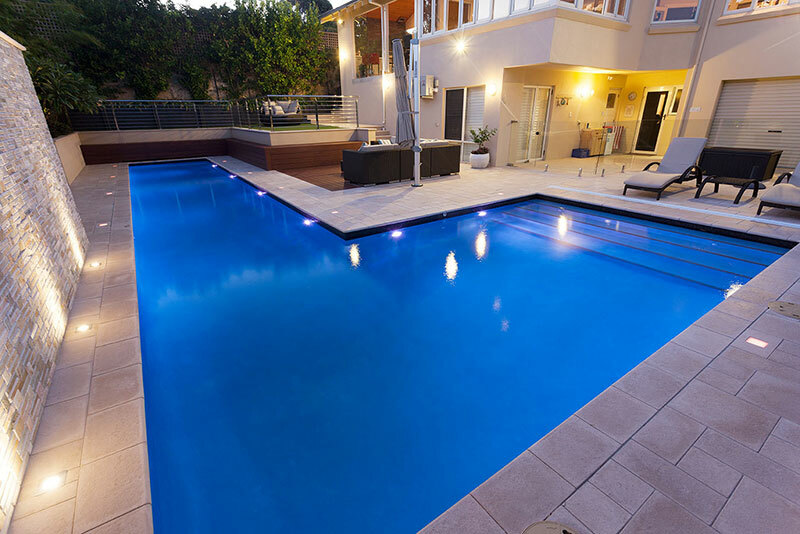 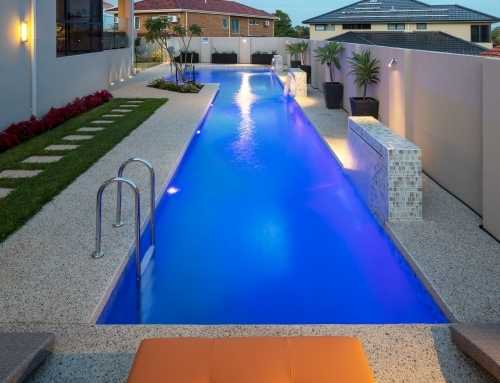 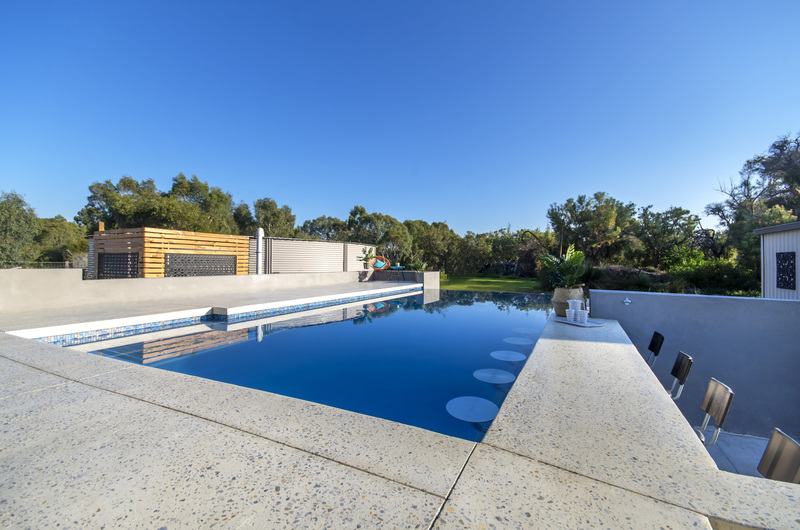 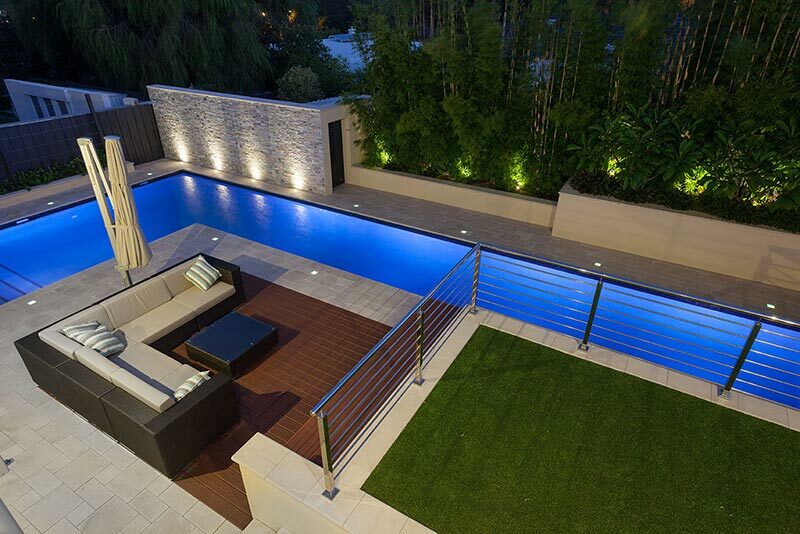 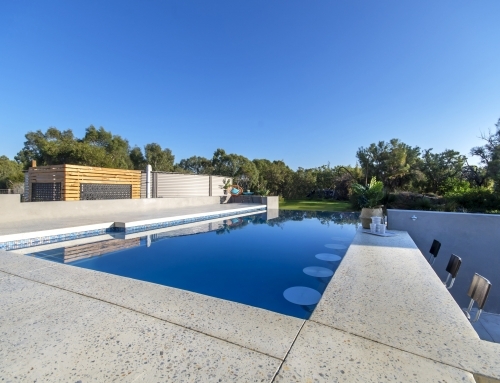 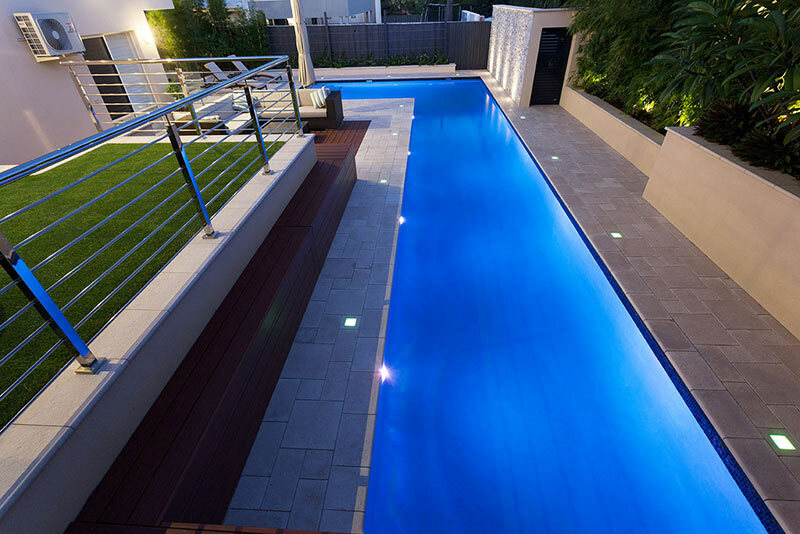 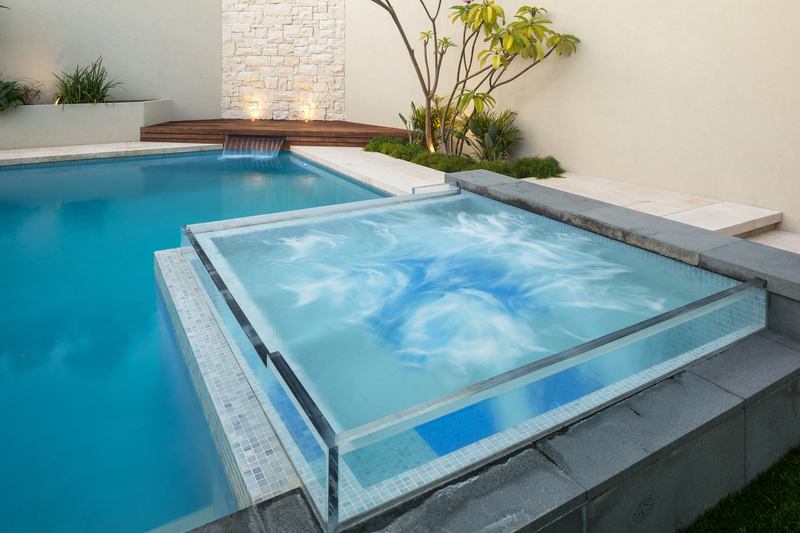 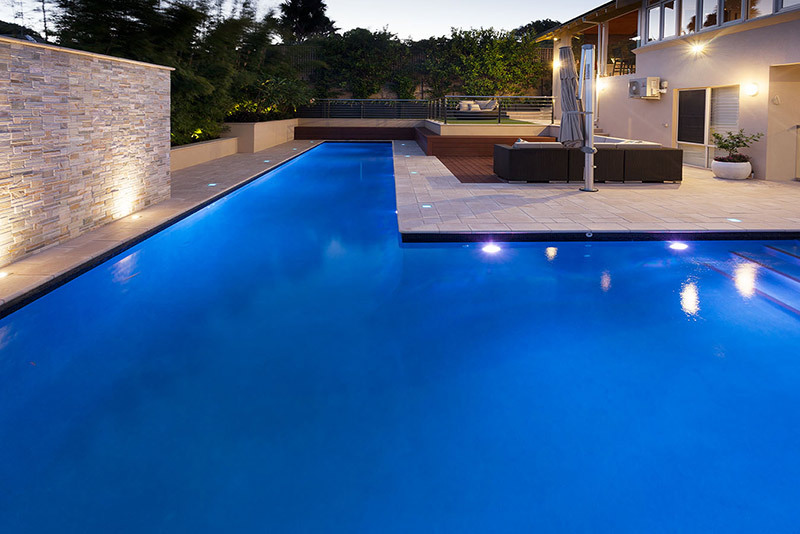 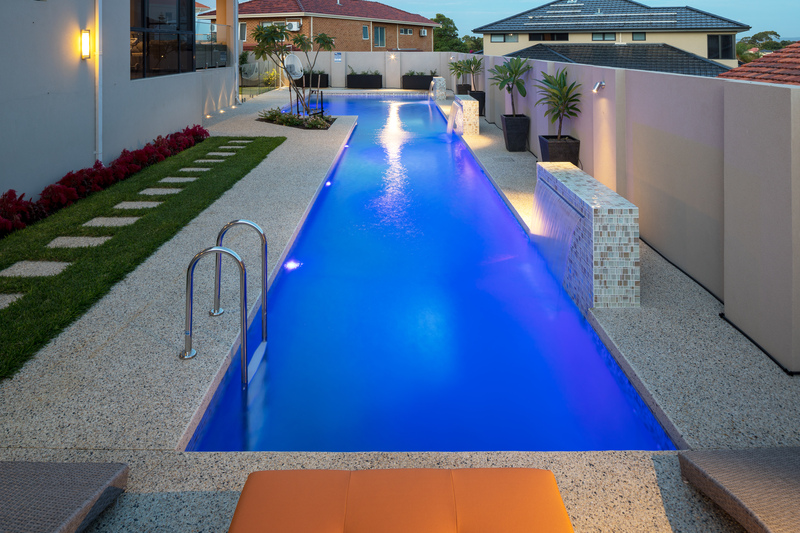 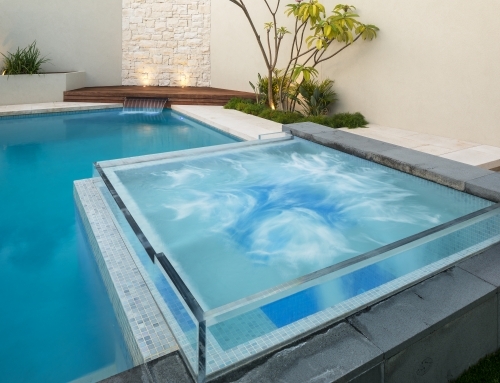 Feature LED lighting around the property highlight the pool as the main feature of the landscape, whilst frameless glass fencing ensures the pool zone blends seamlessly with the residence. 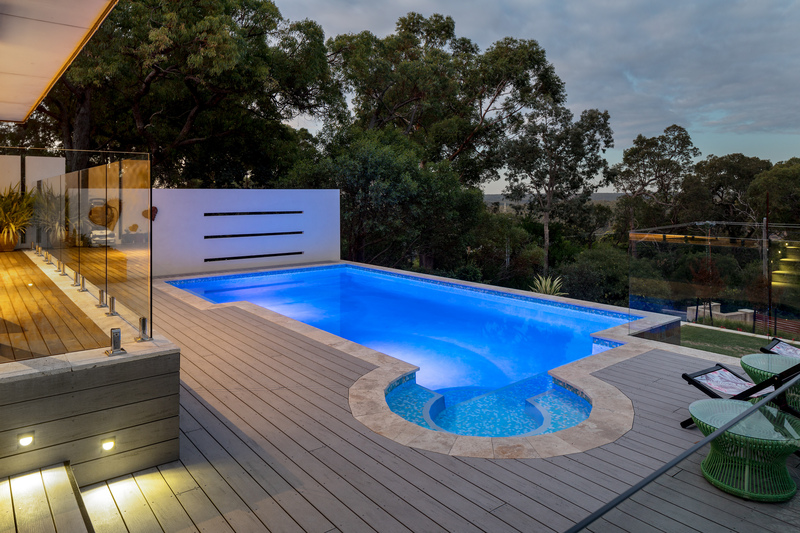 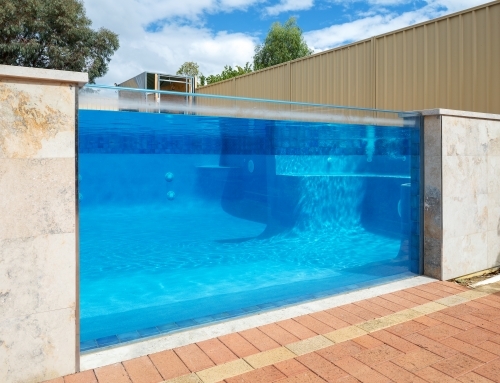 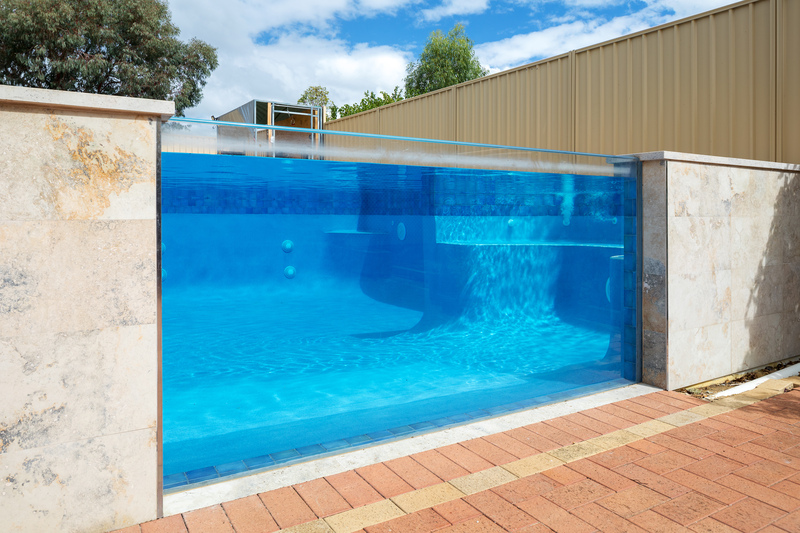 A large plant room stores all of the pool equipment behind a large feature wall with a cleverly concealed “Alice” door located within the cladding.